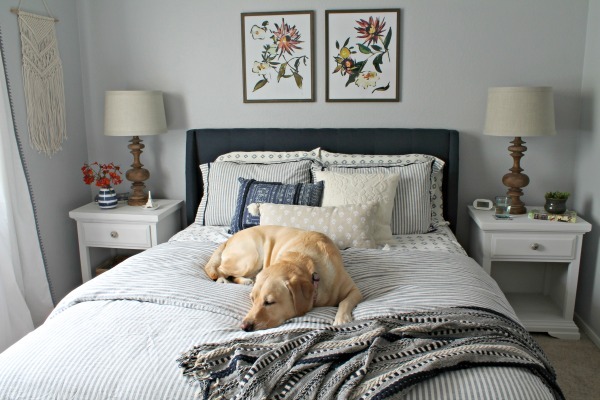 Can you believe it’s already the halfway point of the One Room Challenge?!?! The past few weeks have flown by and I’m definitely nervous about finishing in time. I need to kick it into overdrive for the next couple of weeks! Fortunately, we had a productive weekend and I actually have some noticeable progress to share today. 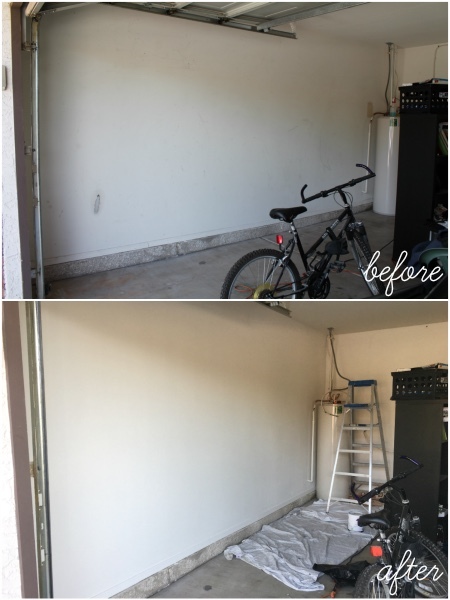 Our biggest accomplishment of the week was painting the garage walls. 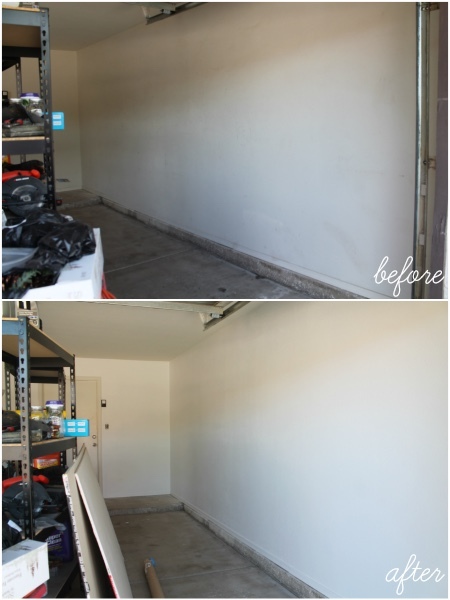 They didn’t seem that bad until we moved everything away from the walls and started painting them a brighter white. I picked Whisper White from the Home Decorators Collection by Behr and I’m really happy with the color. It looks so clean in there now! The door and door trim are the original color and everything else is the fresh, new white. You guys, painting a garage is no joke. It’s already getting hot in Phoenix and we don’t have any fans in there, so we were getting pretty sweaty by the end. Luckily it only needed one coat plus touchups! 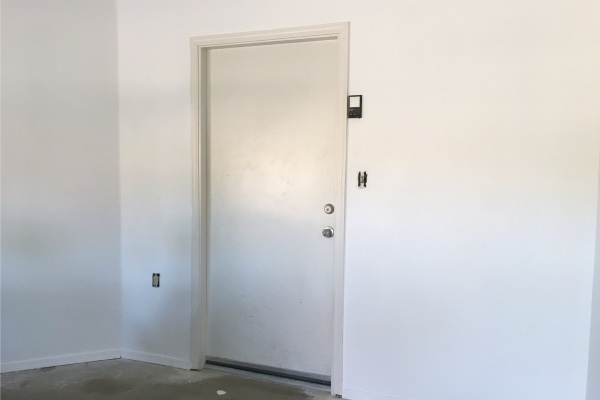 My goals for this week are to paint the door (and possibly add trim), plank the wall for the entry area, and change the beige switch and outlets to white ones. The pegboard was delivered yesterday, so hopefully we can get that hung too. I just need to buy the workbench and get it set up so I know where I need to hang the pegboard. Don’t forget to check out the official participants (here) and the other guest participants (here)! 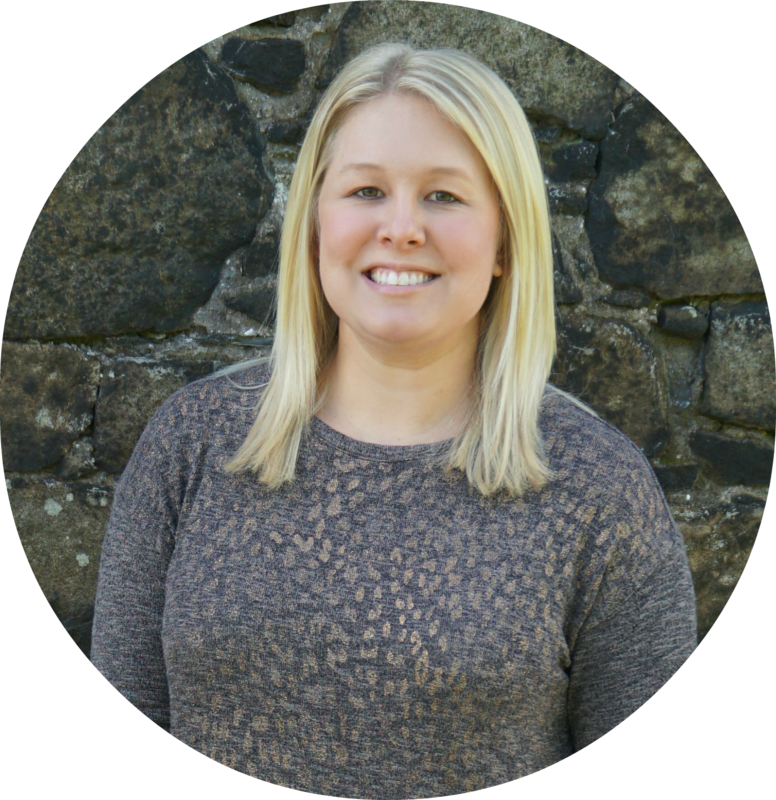 There are so many fun room makeovers going on! I’m seriously so impressed by the progress that everyone is making on their spaces. Seriously, some people took on such huge projects and I’m seriously in awe of what they’ve accomplished in a just a few short weeks! I have a friend who just painted her garage, and she said the same thing! It looks great! I am itching to see the rest! 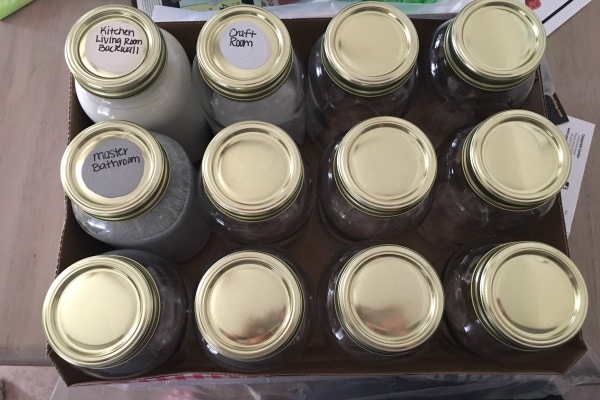 The mason jar idea is genius!